These enhancements can benefit all users of the Revit software, regardless of the specific discipline they practice. Allow Navigation During Redraw: This feature allows you to navigate the model smoothly and continuously, panning, zooming, and orbiting around the view without waiting for the software to finish drawing elements at each step. Rotate Project North: In addition to rotating model elements, this tool also rotates view-specific detail elements, including text notes, detail lines, filled regions, revision clouds, and more. The tool is enabled for plan views only. Open sheet view: To quickly open and identify the sheet on which a view is placed, in the Project Browser, right-click the view name, and click Open Sheet. The ability to select multiple rows in the dialog makes it easy to delete multiple revisions at once. You can change the starting number for a numeric sequence to zero or any positive number. Alphabetic sequence type is now "alphanumeric," and it can accept any custom sequence of characters. Each value in the sequence can consist of more than one character. Add a prefix and/or suffix to display with values in a sequence. Selection Boxes: To more efficiently document a model, you can now quickly isolate selected elements in an unobstructed 3D view. See Isolate Elements in a 3D View with a Selection Box. Learn about software improvements for architectural features of the software. Floors: To improve annotation and scheduling of architectural floors, the following fields are now available: Elevation at Top and Elevation at Bottom. Place Rooms: Use the Place Rooms Automatically tool to quickly place rooms in all closed and bounded areas on the current level. See Place Rooms Automatically. Learn about software improvements for mechanical systems, electrical systems, plumbing systems, and related analysis. Piping flow units: When you define project units for piping, you can now specify values for Flow in liters per minute (L/min). See Set Project Units. Improved snapping behaviour: While working with large system models, you may notice an improvement to snapping behaviour. Remote snaps include only the objects in the visible portion of the view, rather than the view extents. In addition, snap filters are now based on the zoom level. MEP fabrication detailing: You can now use LOD 400 content from Autodesk Fabrication products (CADmep, ESTmep, and CAMduct) in Revit to create a more coordinated model. This functionality provides greater certainty for detailers in construction firms that the model accurately reflects the intended installation. See Fabrication Detailing. Revit Extension for Autodesk Fabrication: You can import and export fabrication jobs between Revit and the Autodesk Fabrication products. See Autodesk Revit Extension for Autodesk Fabrication. Learn about software improvements for structural engineering and analysis. Rebar placement: The following enhancements are available when placing rebar. Rebar Offsets: In the Rebar Constraint dialog, you can now specify rebar constraints to the host and an offset distance from the cover. See Apply Overrides to the Host Constraint Behaviour of Rebar. Rebar Constraints dialog: You can now zoom, pan, and adjust your view without closing the dialog. Rebar rounding: When specifying reinforcement rounding defaults, you can round to the nearest increment, the next higher increment, or the next lower increment. See Reinforcement Rounding. Lock rebar parallel to host face: You can now place rebar parallel to any host face with precision using the Shift key during placement. See Place Rebar. Host Mark displays the name of the structural element hosting the rebar. Host Count displays the number of identical structural elements hosting the rebar. Quantity by Element displays the calculated value of the total number of rebar per host. 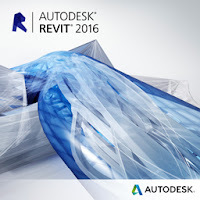 Click on the image below to have a look at this playlist from Autodesk Building Solutions on YouTube to learn the new functionalities in Revit 2016, and see how they will improve your performance in Revit.